It is SNOW WEEK and we are having fun with fake snow... since it doesn't snow where we live in Northern California! Have you ever done any snow themed activities? 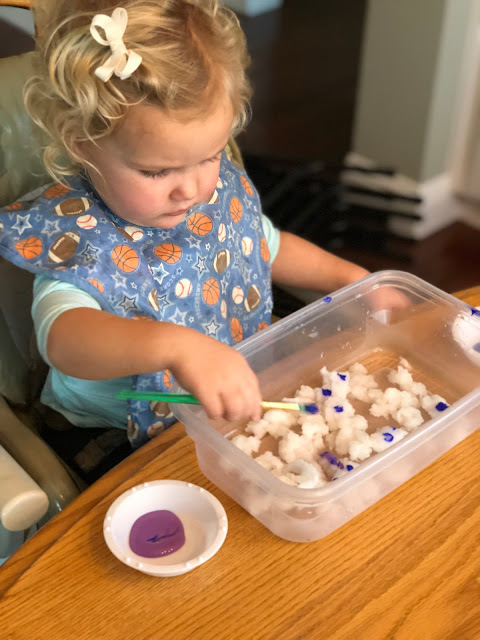 We love making spin art snowflakes and we've hosted a snowman themed tot school in the past! 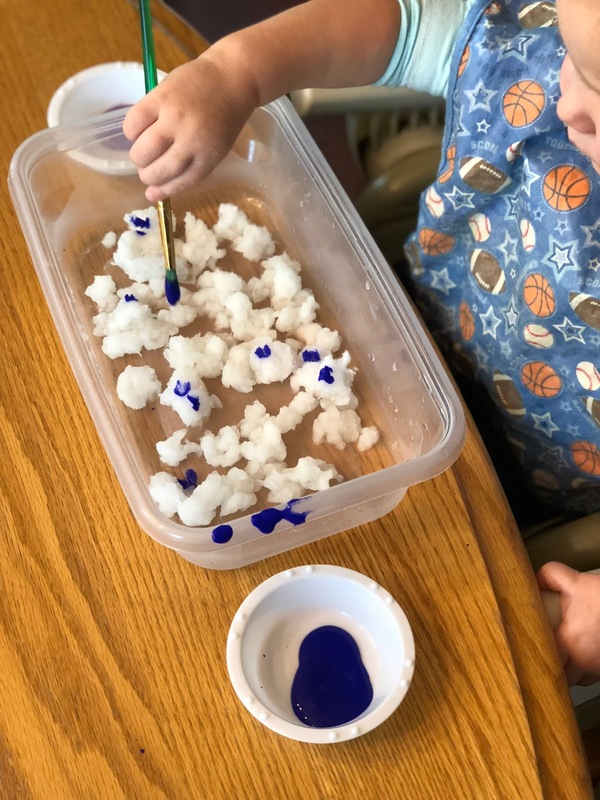 Today we are so excited to share how we made fake snow AND our favorite way to create with it! 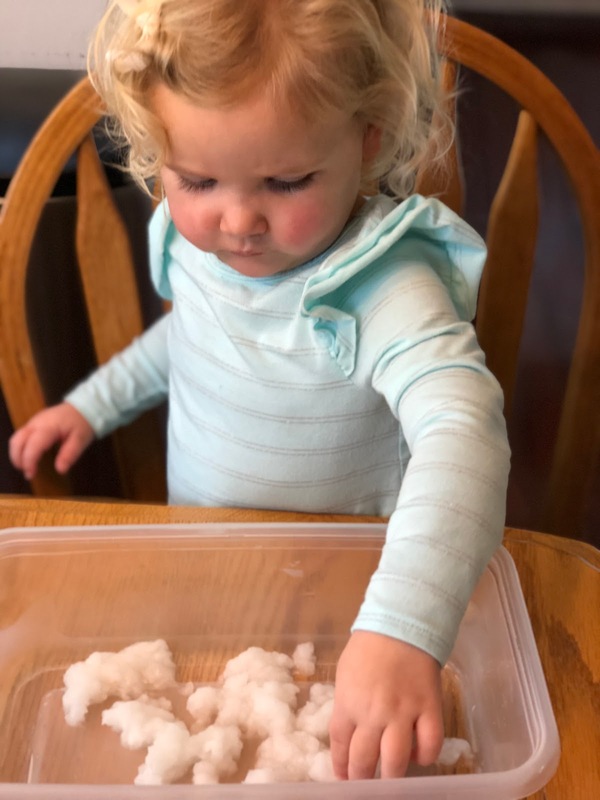 My 5-year-old came home from pre-k last week and was dying to show us how we could make fake snow. 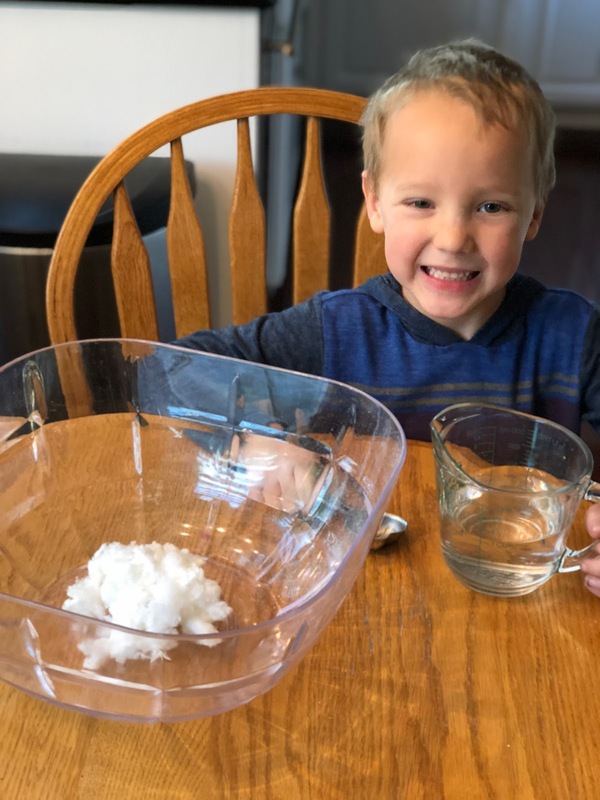 He told us all about the snow science activity he did at school. Unfortunately, we didn't have the materials, and he was devastated. I quickly brainstormed what else we could do and remembered that a friend told me about the weird substance that seems almost snow-like when you shred baby diapers. We decided to try it! 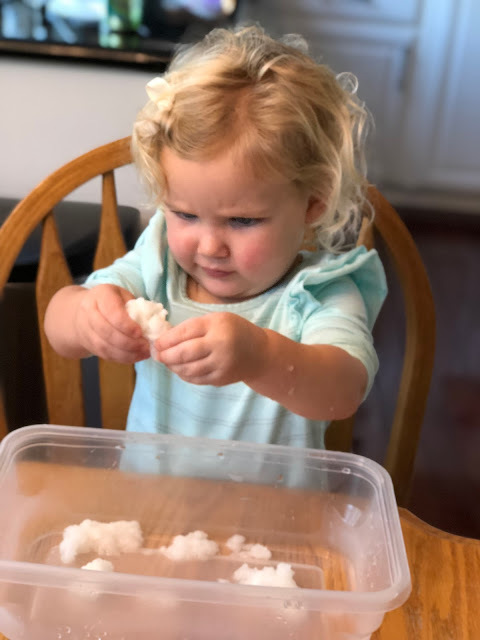 We started by pulling the first layer off the inside of the diaper. It felt a lot like cotton balls and we just pulled the cotton like material off the diaper and put it into a bowl. Once we'd gotten everything we wanted from the diaper, we got another one. 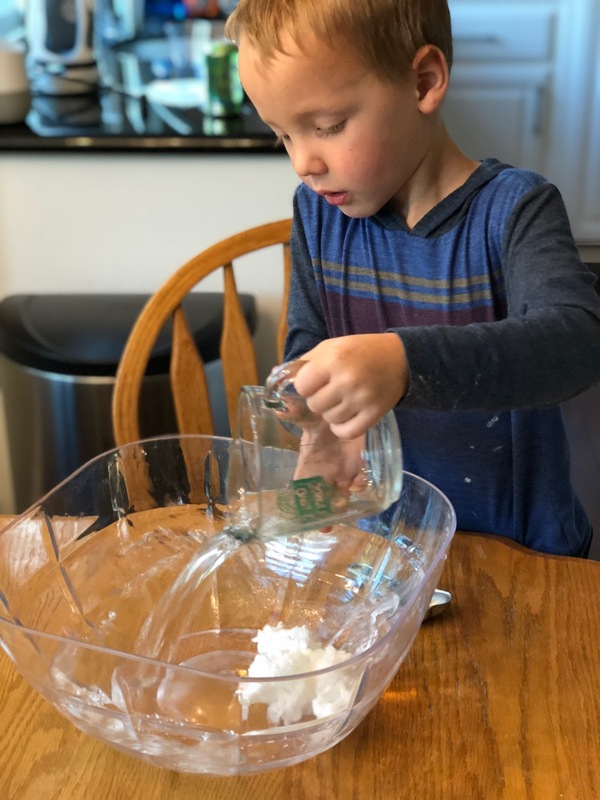 After 2-3 diapers, my son said we had enough, so we grabbed water and added some to the diaper cotton mix. 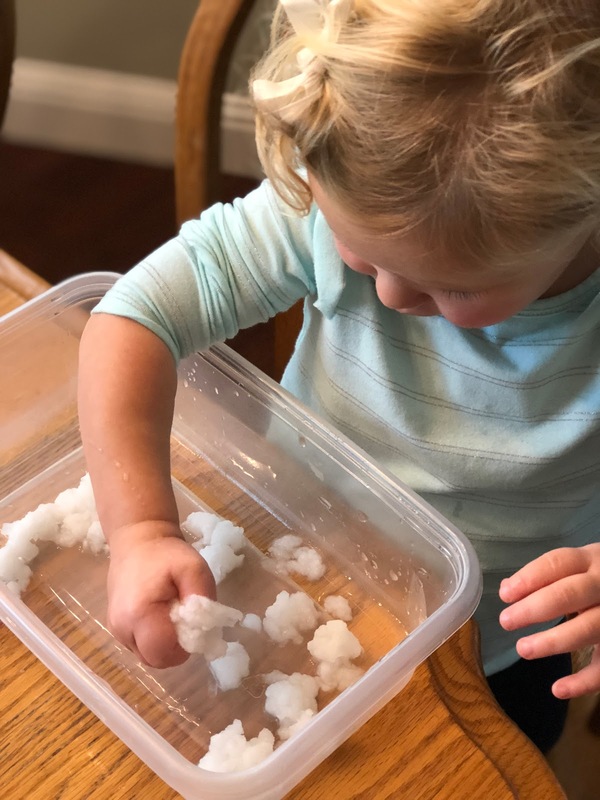 At that point, my pre-k child was a little bummed because it wasn't as close to feeling like the snow science material that he was expecting. He really wanted us to replicate what he had done at school, so i assured him we'd ask his teacher for directions. Once he left, my toddler was ready to take over! She loved squishing the wet snow and squeezing all of the water out of it. 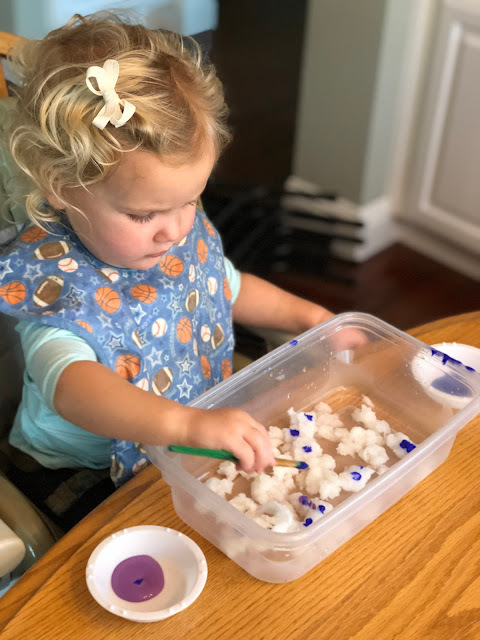 After we played with the snow for awhile, we decided to try painting on it! 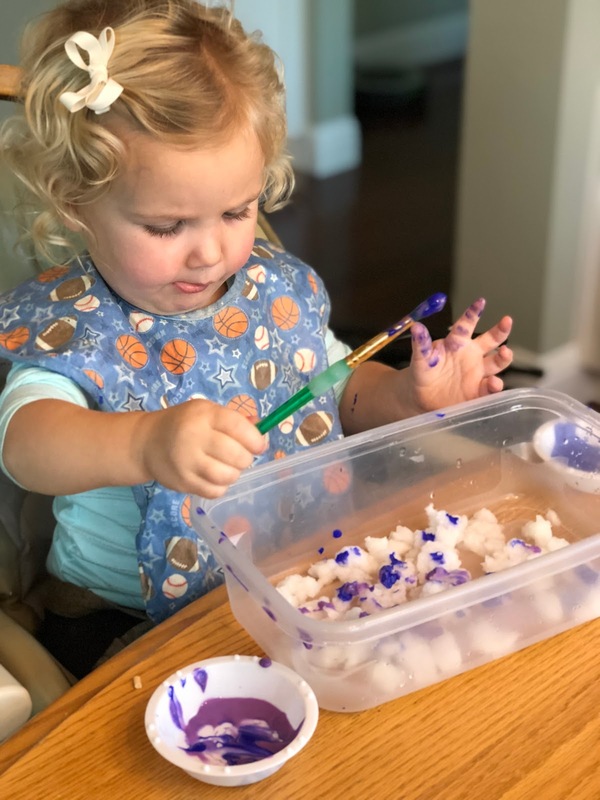 If you follow me on Instagram (@kristinatoddlerapproved), then you know that my daughter has been a bit obsessed with painting lately. 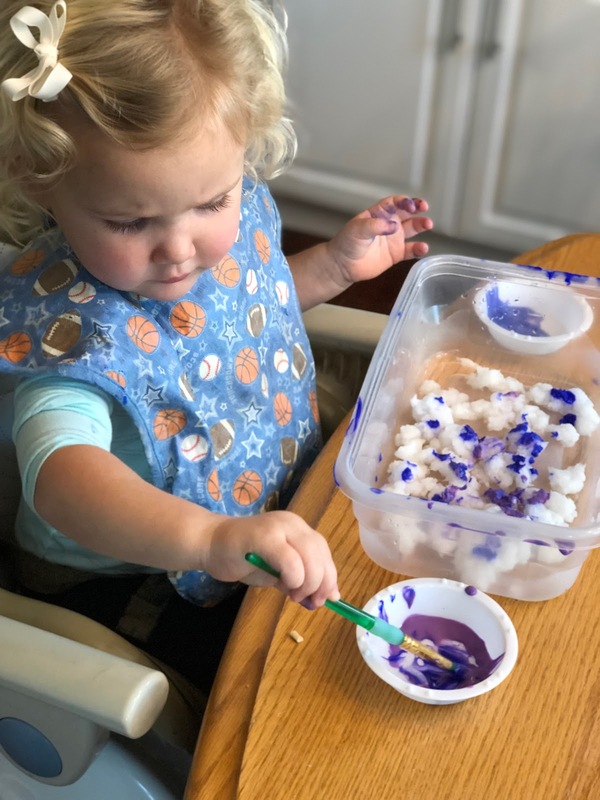 She was SO EXCITED to grab her two favorite colors (blue and purple) and turn the white snow into a colorful mess! 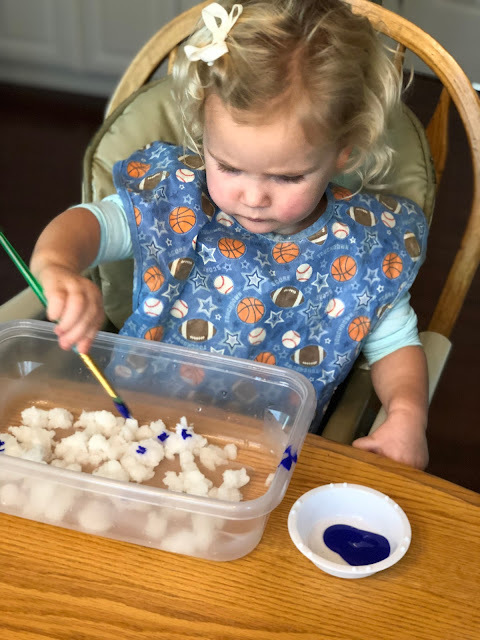 I was impressed with how carefully she used the brush to get dots on the snow. 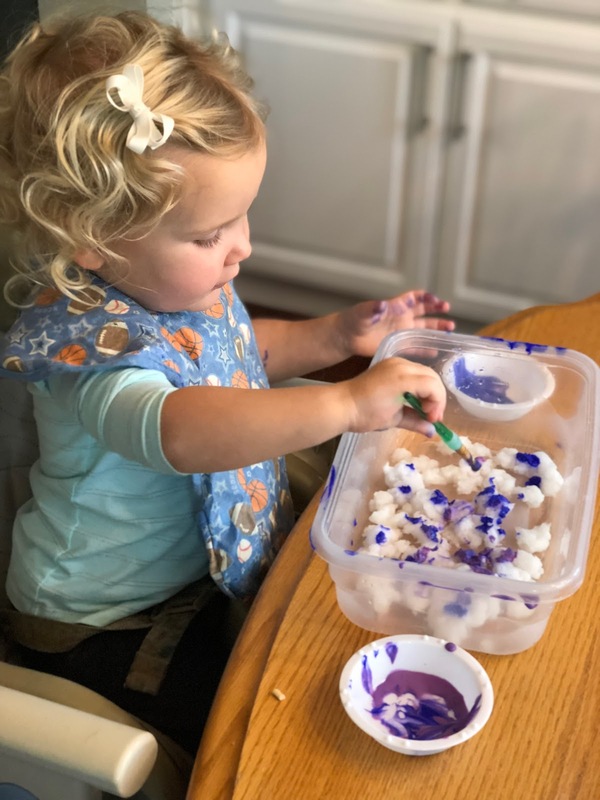 At some point (as usual), it started to turn into a whole body sensory experience with paint everywhere... so then we decided to take it up to the bathtub! 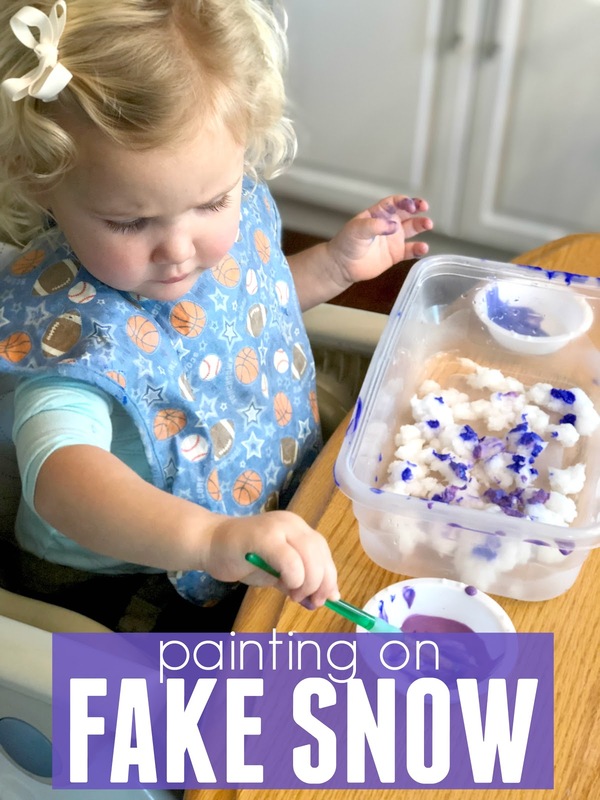 If you haven't tried painting on ice or painting on snow (fake or real), do it! My kids always love it! You can find more snow-themed activities as part of our Weekly Virtual Book Club this week! Go HERE to check it out!